Hard Shop GC-50 remote station is a user-friendly hardware communication station that allows you to upload, download, and transfer data that has been collected through the use of the GC-02 Reader Base and the GC-01 Acquisition Reader. 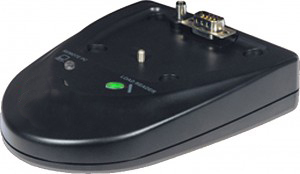 The GC-50 station can be installed remotely and allows you to transfer data to a local or remote PC via either the serial port or a built-in modem. PC-based DigiTool™ Call Center (DCC) Software (GS-02) then processes the data. This tool is simple to install and even simpler to use. With just the touch of a button, you can easily manage your distributed DigiTool™ guard patrol monitoring system on a large geographic and data quantity scale. Hard Shop’s DigiTool™ GC-03 charger is the perfect solution for keeping the GC-01 Readers fully charged between data transfer downloads. The GC-03 can be placed in remote strategic locations for use while a guard is away from the main base. Keeping the rechargeable battery in the GC-01 Reader properly charged enables the GC-01 to perform a maximum of 8000 read events before it must be placed in the GC-02 Base for data download. The GC-03 does not require a PC connection. The included AC/DC wall adapter power supply enables the GC-03 to be placed anywhere it is needed. The GC-02 Base docking-station is made of rugged ABS plastic. 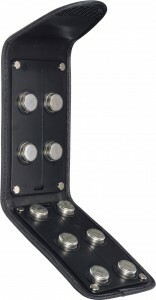 It contains a nickel-plated steel iButton ID chip Reader, a built-in rapid charger with a unique swiveling DC power connection, and a rotating RS-232 serial connector for wall or desktop mount. The GC-02 Base facilitates data transfer from the GC-01 Reader to a single PC for report generation and data analysis using DigiTool™ GS-01 Reports Light or GS-02 DCC DigiTool™ Call Center remote monitoring software. The flexibility of the GC-02 models to read Dallas iButton ID chips allows you to tailor your system even more to suite your specific needs. Hard Shop’s DigiTool™ GC-01 reader is a light-weight hand-held iButton reader intended for trouble free Guard Patrol Touring applications. The DigiTool™ GC-01 reader collects raw data of guard usage, tours, location tags, user, and event tags. It has three modes of notification for providing confirmation of tag data acquisition. Raw data is downloaded to either the GS-01 Reports Lite software or the GS-02 advanced DigiTool™ Call Center management PC software, which provides tour management and archival features of the guard patrol system. The software is used to generate reports and analyze data. The DigiTool™ GC-01 reader has an internal 1800 mAh Lithium-ion rechargeable battery, which can provide over 300,000 reads or 6 months of use before recharging. When used with the GA-06 leather holster, the DigiTool™ GC-01 reader can be worn on a belt for convenient transportation. Hard Shop’s user-friendly GA-12 easy-to-fold event wallet that the guard patrol staff can carry with them as they perform their daily tasks. By simply applying the GC-01 Reader to the location tags and the innovative event wallet, automatically record specifically coded events for later reporting using the GS-02 DigiTool™ Call Center (DCC) software. Each numeric digital ID button can be set in the system as a unique event. The GA-12 enables the use of up to 6 button combinations, for over a million combination possibilities. With the GA-12, you can easily manage your distributed Digitool™ guard patrol monitoring system over a large geographic and data quantity scale. Hard Shop’s user-friendly GA-02 easy-to-fold event wallet that the guard patrol staff can carry with them as they perform their daily tasks. Each numeric digital ID button can be set in the system as a unique event. The GA-02 has 10 different IDs for different events. With the GA-02, you can easily manage your distributed Digitool™ guard patrol monitoring system over a large geographic and data quantity scale. 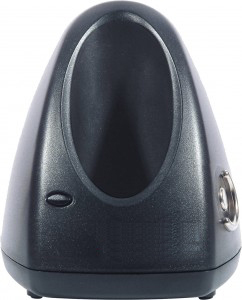 Hard Shop’s GA-01 designed location tag is encased in a rugged plastic housing, the location tags and keyfob contain a hardened stainless-steel ID chip, and programmed to provide an electronic registration number for automatic identification. Each has the option of including a Dallas iButton™ ID chip or a generic numeric ID chip. Other features include easy deletion of lost or stolen tags from the system database, light-weight portable units, as well as uniquely preprogrammed codes that cannot be altered or replicated. The GA-01 location tag easily attaches to any solid, flat surface. 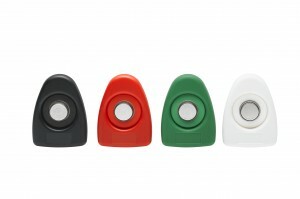 A cover range of red, yellow, violet, black, green and orange are available to identify different locations. The keyfob is available in black or white. Hard Shop’s keyfob is programmed to provide an electronic registration number for automatic identification. 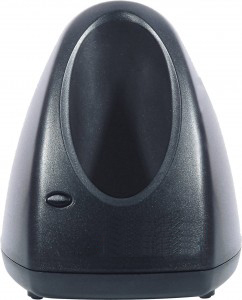 It is designed encased in a rugged plastic housing, the keyfob contains a hardened stainless-steel ID chip, snap-fitted into the back of the GA-01. 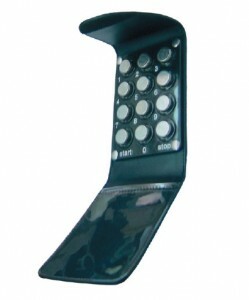 Each has an option of including a Dallas iButtonTM ID chip or a generic numeric ID chip. Other features include easy deletion of lost or stolen tags from the system database, light-weight portable units, as well as uniquely pre-programmed codes that cannot be altered or replicated. The AT-32 keyfob is available in black or white. For business security is as important as sustenance is. We believe that right security measures helps in not even protecting you assets but also in improving productivity. We are focussed on providing the optimum solution to our customer.